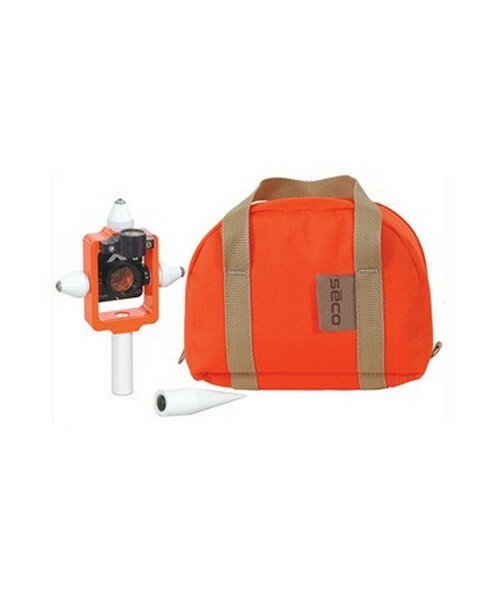 The Seco Mini Prism Stakeout Kit is a useful tool when doing surveys, stakeouts, and other site jobs. 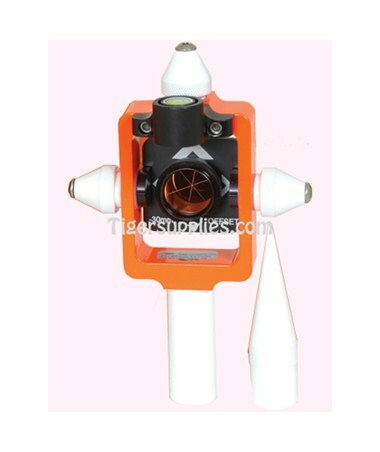 It features a 25-millimeter diameter and a -30 millimeters which are held securely within a fluorescent aluminum housing. It has a 5/8 x 11 thread both on the top and bottom. Also, it comes with a white adapter that makes the prism height 115 millimeters for use with most prism holes. This Seco stakeout kit includes white site cones that are located on the top and sides of the prism which serves as tilting axis lock knobs. Also, it comes with an adjustable circular level vial with 40-minute sensitivity. In addition, this prism can be mounted to four different heights: 50 millimeters, 100 millimeters, 115 millimeters, and 150 millimeters. The Seco Mini Prism Stakeout Kit offers two fluorescent colors - orange and yellow. Please select your preference from the drop-down menu above.